StarWind presents as a Gold Sponsor at Storage Focus Germany. Based on more than a decade of experience providing hyper-convergence solutions for SMB and ROBO, we will share our vision what constitutes building blocks of an efficient hyperconverged infrastructure. The event takes place in Munich, Germany, and is intended for channel-players and those who need to keep space with the storage, server and network innovations. StarWind participates at Experts Live Europe 2018 as a gold sponsor! The event takes place from the 24th to the 26th of October in Prague. At it, Dmytro Malynka, StarWind Solutions Architect, will present enterprise-class hyperconvergence for SMB & ROBO. Hyperconverged infrastructure (HCI) allows consolidating compute, storage, and networking resources within a single “building block”. HCI completely resolves the management complexity problem by leaving the “separate components – separate management” approach behind and simplifies virtual machines and applications administration. Experts Live Europe is an annual Microsoft community IT conference that attracts the best speakers and experts in the world to talk about new achievements in the Microsoft Cloud, Datacenter, and Workplace areas. StarWind, as a leading provider of hyperconvergence for SMB and ROBO, presents a cutting-edge network protocol at Storage Field Day 17. At the event, StarWind representatives explained the benefits of the industry-first software-defined NVMe over Fabrics Target and Initiator for Microsoft Hyper-V and VMware vSphere platforms. StarWind NVMf (NVMe over fabrics) Target unleashes the full NVMe storage performance by evolving to use the protocol specifically developed for communicating with the NVMe storage over high speed networks. 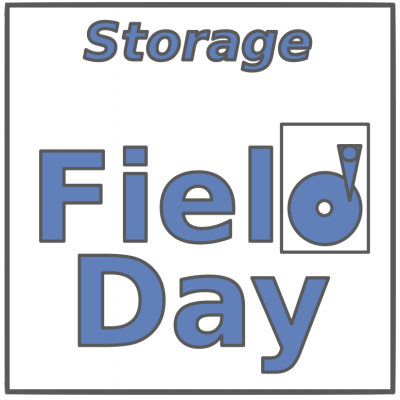 Storage Field Day is an annual event devoted to open discussion of innovative technologies for data storing and protection. StarWind team attended VeeamON 2018, the premier conference for intelligent data management, to showcase its new StarWind Virtual Tape Library solution. At the event, Max Kolomyeytsev, Product Director at StarWind, took the floor with the presentation “Keeping your backup process unchanged when replacing tapes with Object and Cloud Storage” to highlight the benefits and functionality of StarWind VTL. The solution integrates into the established tape-based backup infrastructure with zero changes, delivering best performance from both cloud and object storage and providing high-cost efficiency with low $/GB costs. StarWind, as a leading vendor of Software-Defined Storage solutions, HyperConverged and Storage Appliances, will present its products at Storage Field Day 15. The event is held in the Silicon Valley and will bring together technology experts, thought leaders, and various vendors to discuss and showcase innovative enterprise storage and data protection technologies. Anton Kolomyeytsev, StarWind CEO and Microsoft Most Valuable Professional (MVP) will take part in MVP Global Summit 2018 to share his experience and engage with other MVPs from all around the world. The event provides a global platform with a variety of networking opportunities for MVPs to build relationships with Microsoft product managers and provide feedback on Microsoft products and technologies. StarWind team will participate in VMUG UserCon 2018 in Poland, an event that brings together virtualization experts and engineers to share their knowledge and learn about the hottest industry trends. At the event, StarWind will present its new product – StarWind Virtual Tape Library. The solution is designed to help businesses eliminate their costly tape backup processes while meeting regulatory data retention requirements using on-premises Virtual Tape Libraries with cloud and object storage tier. StarWind team has participated in an awesome annual IT world event - VeeamON 2017 which brought together 3,000 peers, thought leaders, subject matter experts and IT professionals to discuss the latest virtualization, storage and cloud technologies. At the event, StarWind showcased its new solution – StarWind Cloud VTL for AWS and Veeam aimed to help businesses meet regulatory data archival and retention requirements by integrating cost-efficient Amazon S3 and Glacier cloud storage tier to their backup infrastructure. As a leading hyper-converged and storage vendor, StarWind participated with its products at Storage Field Day (SFD) held in the Silicon Valley on March 8, 2017. The event brought together leading experts in data storage to discuss innovations with the key companies in the space of enterprise storage and data protection. StarWind is going to BETT to showcase its products and explain how they can bring benefit into the management of educational institution by providing it with simple and robust IT infrastructure. BETT brings together IT professionals and educators to streamline education sector with IT innovations. It takes place in London on January, 25-28, 2017. Come visit StarWind at our stand E422. We'll be glad to talk to you in person. As usually, we are bringing nice gifts for you. StarWind CEO Anton Kolomeytsev attended Gartner Data Center, Infrastructure & Operations Management Conference, an important annual event, which covers data center infrastructure issues and has been shaping the industry for over 35 years. The conference gathers leading technology and service providers, who represent their innovations to help the I&O leaders keep up to speed on reinvention of the data center, infrastructure and operations. 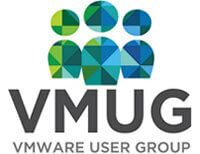 StarWind sponsored VMUG event, which took place in London on November 17th, 2016. Thank you all who used this chance to meet us there to communicate on our products and recent developments. StarWind participated in MVP Global Summit in Bellevue & Redmond, Washington USA on November 7-10, 2016. Thank you all who used the chance to talk to our CEO Anton Kolomyeytsev - the man behind most of StarWind's products. He was happy to answer all of your questions. StarWind attended TECHunplugged conference in Amsterdam on the 6th of October. Thank you all who used this opportunity to meet our Director of Pre-Sales Support Taras Shved and learn about StarWind's new solutions as well as our products in general. Thank you for being with us at Microsoft Ignite 2016 in Atlanta, September 26-30! It was a great experience! 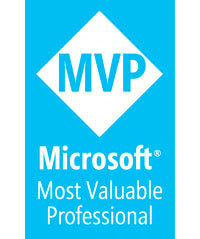 At the show, we have discussed our offerings for Microsoft users. We have also shown our HyperConverged Appliance as well as the brand new plug-and-play Azure gateway in your HDD slot. StarWind is performing a training session at MangoCon in New York. Join Max – our engineer and product manager, and ask him anything you want to know about StarWind plans. Also, you have your chance to win a brand new Raspberry Pi – something we’d all like to have fun with. See you in NYC. We’re going to spend September 7th in Seattle at Angelbeat. Join the event, meet our guys and talk to them all you want. Max is going to be there for sure, and he’s known to be a chatterbox when it comes to virtualization. Also, ask about our branded touchscreen-friendly gloves! 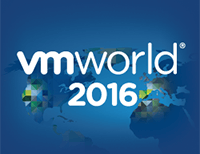 StarWind at VMworld 2016 US! StarWind participation in VMworld has already become somewhat traditional. Last year we presented StarWind HyperConverged Appliance - a hyperconverged virtualization platform for SMB. This time we brought an improved version. Now our HCA works with VMware VSAN, so you can select the software-defined storage according to your requirements. Meet StarWind Team at vBrisket in Chicago, Kansas City or Denver! Come, join the event and meet StarWind crew, get some branded goodies. We always welcome a chance to meet our friends in such an entertaining environment. Our engineers – Max and Oles will be there to answer all your questions on virtualization in general and StarWind products in particular. The aim of VeeamON Forum is to bring together leading IT experts and visionaries of the EMEA to share experience on ensuring Availability for the Modern Data Center. It gave its participants lots of educational, networking, and idea-sharing opportunities. Latitude59 is a platform providing networking opportunities for startup businesses and investors or potential partners. Hundreds of speakers brought up intriguing topics like Virtual Nation, Artificial Intelligence, Virtual/Augmented Reality, IoT, and others. Also, 59 companies got the opportunity to showcase their products. Estonian ICT Week unifies numerous conferences, seminars, hackathons, discussions dedicated to IT innovations and, particularly, IT legal aspects and e-governance. ICT experts, visionaries, entrepreneurs, venture capitalists, government leaders and top officials as well as representatives of international organizations came to Tallinn to share experience and network. SpiceWorld, hosted by Spiceworks, is an IT conference, which brings together industry experts, tech vendors, IT guys and technical marketers for training, sharing ideas, networking, and having fun. The two-days event involves activities like IT and tech marketing educational sessions, exhibitions by top tech brands, networking, and talk-shops. 6 different hyperconverged approaches from 6 vendors for you to compare and evaluate. StarWind participated with its own solution – StarWind HyperConverged Appliance featuring minimalistic starting setup, scaling options and no vendor lock-in. We were glad to meet Microsoft Certified Trainers at MCT Summit in Lisbon. We are looking forward to attendee’s applications for free license of StarWind Virtual SAN. Please, forward your requests directly to license@starwind.com. StarWind visited E2EVC Virtualization Conference with the turnkey virtualization solution for SMB and ROBO. We have discussed how to bring in quick deployment and operational simplicity to your virtualization workload and reduce related expenses with StarWind HyperConverged Appliance. 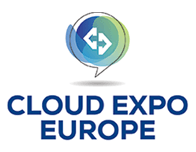 StarWind attended Cloud Expo Europe in Frankfurt to present its HyperConverged Appliance – a turnkey virtualization solution for SMB and ROBO. We have discussed how to achieve operational simplicity of virtualization workloads and cut down associated expenses. Use this chance to meet the ideologist of StarWind HyperConverged Appliance, CTO and co-founder of StarWind Software in person. Anton Kolomyeytsev will answer your questions and tell how you can benefit from choosing our turnkey hyper-converged solution. Solve all your virtualization problems with one turnkey solution – StarWind HyperConverged Appliance. 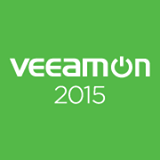 Meet us at VeeamOn 2015 in Las Vegas, learn how to save money and simplify your IT guy’s life without usual virtualization fuss. StarWind will join its partner xByte Technology at SpiceWorld to present its product – StarWind HyperConverged Appliance, a turnkey virtualization solution for SMBs and ROBOs. Visit booth # 56 to learn about xByte Technologies products and to participate in a server build challenge. 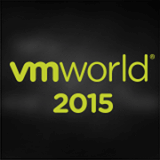 Thank you for visiting our booth at VMworld 2015 in San Francisco and for the chance to meet and talk! Congratulations to our winners – Marco Magallona from eG Innovations and Matt Arvidson from Nucor Steel. We presented StarWind Hyper-Converged Platform for VMware vSphere. Learn more about the product in case you didn't have a chance to visit our booth during the event. 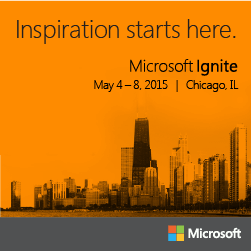 Thank you for visiting our booth at Microsoft Ignite in Chicago! It was a great pleasure to meet you and to have a chance to talk! We were glad to present our new offering – Hyper-Converged Platform. Feel free to contact us for more information or visit the page of a product. We were glad to meet and talk with everyone who visited our booth at TechEd 2014 in Barcelona! Congratulations to the winners of our sessions – Andrew Vickers, Senior Analyst of Newcastle University and Andrew Waples, IT Director of Rugby School! You can download a free version of StarWind Virtual SAN to create a software-defined storage native to Hyper-V. Thanks to everyone who visited our booth at VMworld 2014 in Barcelona! It was a great pleasure to meet you and to have a chance to talk! Congratulations to our winners - Andrey Kovtun, Raiffeisen Bank Aval; Hendricus Kramer, PepperByte; Alexey Zakharov, Inline Group! Also, as you may know, during the event we presented FREE Virtual SAN for vSphere! Free Virtual SAN is available for download. StarWind will be a sponsor at Microsoft Worldwide Partner Conference 2014 in Washington D.C.
Come and visit us on stand # 2320.